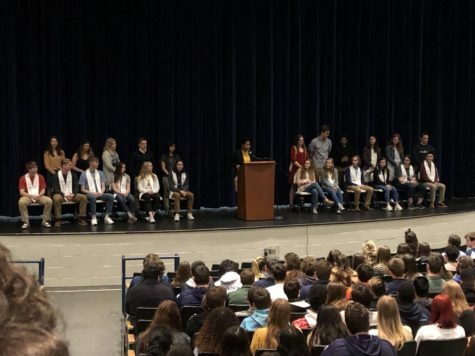 Every year at Hidden Valley High School, there is a ceremony where only all of the current juniors and current Titan 12 members attend. Titan 12 members are students who succeed in school, participate in clubs, and play school sports. Students who are Titan 12 members are students that represent Hidden Valley High School and help host any major events at Hidden Valley. At the ceremony, all of the current Titan 12 seniors announce one-by-one all of the new Titan 12 members. When the current Titan 12 members are announcing the new ones, they will state all of the accolades the new member to justify their case in being a Titan 12 member. Being a Titan 12 member is one of the most prestigious titles that a Hidden Valley student could have and is a very big part of the tradition here at Hidden Valley.